Over the years, Syfy has evolved into a great network for original programming. Two examples of this are the series Warehouse 13 and Defiance. Both have brand new episodes next Monday and, as we often do, we’ve got previews and interviews for said episodes to share with you today. First up is Defiance where a mysterious plague strikes, carried by Irathients, but affecting only humans. Next, on the new Warehouse 13, Pete and Myka go undercover in the suburbs, while Claudia and Artie must help a young savant. Looks like both these episodes are a must-see for fans. We’ll be watching for sure. 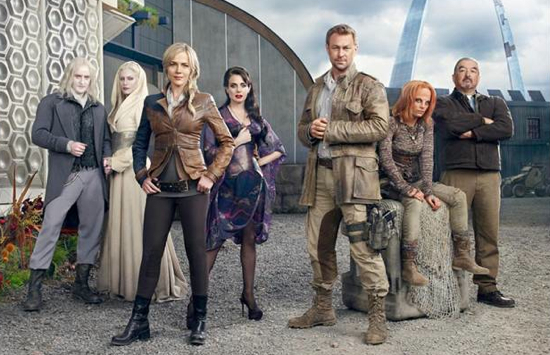 All the fun starts at 9/8C on Syfy with Defiance. Click through to check out all the clips and interviews for both shows. It’s Friday so that often means previews for new Syfy shows. Well, if you’re a fan of Syfy series like Defiance and Warehouse 13, you’re in luck, because today is no exception. Firstly, Defiance is all-new; An old war buddy of Nolan’s comes to town chasing after an arms dealer, who quickly becomes a dangerous threat to the town. You can watch a sneak peek, as well as a behind-the-scenes clip of the the VFX. 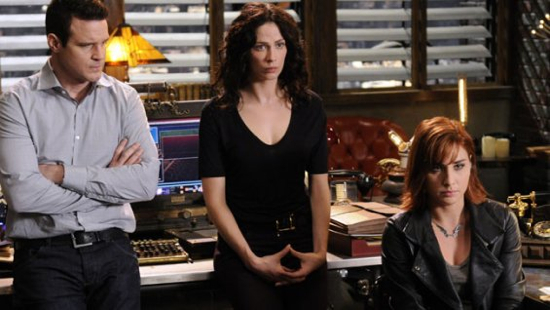 Next, check out the sneak peek for a new Warehouse 13, as well as a best-lines clip from last week. It’s all to be found right after the break. So, what are you waiting for? Loof for Defiance and Warehouse 13 on Mondays starting at 9/8C on Syfy. Julie Benz appears to have gone from victim to hero in one fell swoop. After leaving behind Rita Morgan after four seasons on Dexter, the actress is primed to portray Stephanie Powell on ABC’s upcoming family show, No Ordinary Family. No longer the dead body in the bathtub, Powell is a busy professional scientist and researcher who develops super speed following a crash landing in the Amazon on a trip with her family. After deciding to move on from Dexter, Renz related that she was looking for a new challenge and the character of Stephanie was just what she was looking for. While there might be the temptation to compare Rita with Stephanie, Benz insists that she didn’t pull inspiration from portraying a mother on a previous show. For one thing, the personalities are incredibly different.